Global spending on security solutions has been increased by 9.4% from 2017. IDC new global spending report data shows that global spending on security related hardware, software and related services to reach approx $103.1 billion in 2019. Adaptation of new technologies like cloud, IoT, AI boosting organizations growth but also brings cyber security threats, Organizations are increasing their budget on security solutions and according to report spending on security solutions will go continuously for the next several years. According to the Worldwide Semiannual Security Spending Guide from IDC, worldwide spending on security solutions will achieve a compound annual growth rate (CAGR) of 9.2% over the 2018-2022 forecast period and total $133.8 billion in 2022. The three industries that will spending the most on security solutions in 2019 – banking, discrete manufacturing, and federal/central government – will invest more than $30 billion combined. Three other industries (process manufacturing, professional services, and telecommunications) will each see spending greater than $6.0 billion this year. 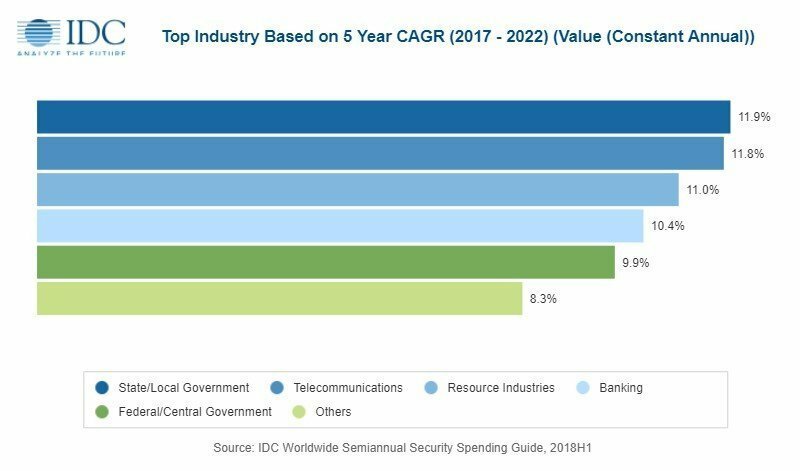 The industries that will experience the fastest spending on security solutions growth over the forecast period will be state/local government (11.9% CAGR), telecommunications (11.8% CAGR), and the resource industries (11.3% CAGR). This security solutions spending growth will make telecommunications the fourth largest industry for security spending in 2022 while state/local government will move into the sixth position ahead of professional services. Managed security services will be the largest technology category in 2019 with firms spending on security solutions more than $21 billion for around-the-clock monitoring and management of security operations centers. Managed security services will also be the largest category of spending for each of the top five industries this year. “While the U.S. and Western Europe will deliver two-thirds of the total security spend this year, the largest growth in security solutions spending will be seen in China, Asia/Pacific (excluding Japan and China), and Latin America, each with double-digit CAGRs over the five-year forecast period,” said Karen Massey, research manager, Customer Insights & Analysis. Large (500-1000 employees) and very large businesses (more than 1000 employees) will be responsible for roughly two thirds of all spending on security solutions in 2019. These two segments will also see the strongest spending growth over the forecast with CAGRs of 11.1% for large businesses and 9.4% for very large businesses. 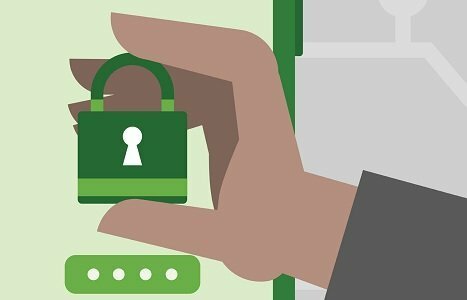 Medium (100-499 employees) and small businesses (10-99 employees) will spend nearly $26 billion combined on security solutions in 2019. Consumers are forecast to spend nearly $5.7 billion on security this year.